Repair damaged/corrupt MS SQL Server database (MDF and NDF) files quickly and efficiently. SQL database recovery software is designed to fight corruption in SQL Server database. This tool is ideal for utilization in all scenarios of database corruption arising due to hardware issues, bugs in SQL Server, application crash, Operating system malfunctioning, unexpected system shutdown, virus attacks, etc. This software scans the complete database for affected entries and corrects the bit pattern to get off the corruption and bring in the database to a consistent state. The SQL recovery software is perfect for repairing corrupt MDF and NDF files which are a part of SQL database. MDF files are the primary files in SQL Servers that comprise of database header and system table information, where as NDF files are secondary database files. When corruption strikes, it makes both NDF and MDF files victim and brings the database into an inconsistent state. The SQL Recovery software conducts SQL Repair for all objects of MDF and NDF files. This software allows its users to recover deleted records of corrupt database while it performs repair of the damaged/corrupt database. You can restore the deleted records by preserving the format and ensuring the original hierarchy is intact. The recovered data can be saved in a newly created table along with the other data. This tool is designed to offer you multiple saving options which automatically increase the flexibility of the user to access the data. You can save the repaired SQL Server database file in CSV, HTML and XLS formats at desired location on your machine. This is a proficient way to access the data as user doesn’t need to install SQL Server on your system to open the file. This tool has to ability to repair all components of database such as Indexes, Views, Tables, Triggers, Stored Procedures, Rules, User Defined Functions, Keys and more. 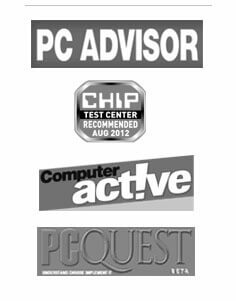 Along with this, this software supports recovery of XML indexes and data types, column set property, sparse column and file stream data types. While performing recovery, the software scans the entire corrupt database and displays the recoverable item in a tree-like structure and the tables are listed in sorted manner. Select any folder to preview its contents. In addition to this, the preview features enables you to verify contents match the original data that was available in the database before it got damaged or corrupt. The software allows you to perform selective recovery of the database objects. This ability to select specific database objects to be recovered from the list of recoverable data. Using this software, user can recover Row and Page compressed data. In addition to this, the software also supports SCSU (Standard Compression Scheme for Unicode) for SQL Server 2008 R2 and recovers the entire data in its original format. Make use of ‘Find Items’’ option to search for the list of data to be recovered and save the required data on the basis of specific criteria such as ‘Match whole word’ or ‘Match case’. While the software allows SQL Database recovery, user is provided with an option to save recovered database at default or any desired location. Additionally, the queries of severely corrupt objects that cannot be recovered by the software can be saved in a separate text file. SQL Database repair software has the capability in fixing SQL Database corruption errors like 5171, 8942, 3414, not a primary database file, header file corruption, database in suspect mode, clustered or non-clustered index corruption, consistency error, schema corruption, etc. The menu items of the software can be customized as per user convenience and individual options can be added or removed to ensure recovery process is efficient and quick. 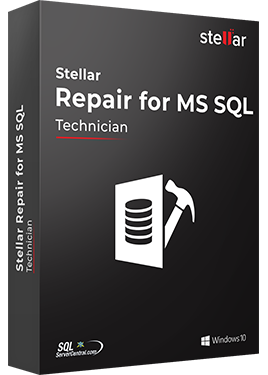 This SQL Database Repair software is compatible with Windows Server 2012, 2008, 2003 and Windows 10, 8.1, 8, 7, Vista, XP and supports MS SQL server: 2016, 2014, 2012, 2008 R2, 2008, 2008*64, 2008 Express, 2005, 2005*64, Express, 2000, 2000*64, 7.0, etc.